Hogan Models: one limited edition, molded plastic model in a 1/200th scale of an Boeing B777-2Q8/ER in the AeroMexico Airlines Current Colors. Airframe Registration N/A. Note: Some assembly is required. This model is constructed of molded plastic parts. This product is available beginning in November, 2012. Hogan Models: one limited edition, molded plastic model in a 1/200th scale of an Boeing B777-2Q8/ER in the AeroMexico Airlines Current Colors. Hogan Models: one limited edition collectable, die-cast airliner model in a 1/400th scale of a Boeing B787-9 in the Air New Zealand Airlines Current Colors. Airframe Registration “UNK’. This model is constructed of die-cast metal with some plastic parts. This product is available beginning in December, 2013. HOGAN Models: one limited edition collectable, molded plastic airliner model in a 1/200th scale of a Boeing B787-8 in the AVIANCA Colombia Airlines Old Color Scheme. Airframe Registration N/A. This model is constructed of molded plastic with some metal parts. Some assembly is required. This product is available beginning in September, 2014. Hogan Models: one limited edition, collectible die cast airliner model in 1/400 scale of an Boeing B737-700(W) in the Boeing Corporation ?Dreamliner? Colors. Includes a plastic model stand. Airframe Registration N/A. The model is constructed of die-cast metal with some plastic parts. This product was released in March, 2011. Hogan Models: one limited edition, collectible die cast airliner model in 1/400 scale of an Boeing B737-700(W) in the Boeing Corporation ?Dreamliner? Hogan Models: one limited edition collectable, molded plastic airliner model in a 1/200th scale of a Boeing B737-800Max in the Boeing Company Corporate Colors. Airframe Registration N/A. This model is constructed of molded plastic with some metal parts. Gears and Stand are included. This product is available beginning in October, 2014. Hogan Models: one limited edition, collectible die cast airliner model in 1/400 scale of an Boeing B737-900(W) in the Boeing Corporation ?Dreamliner? Colors. Includes a plastic model stand. Airframe Registration N/A. The model is constructed of die-cast metal with some plastic parts. This product was released in March, 2011. 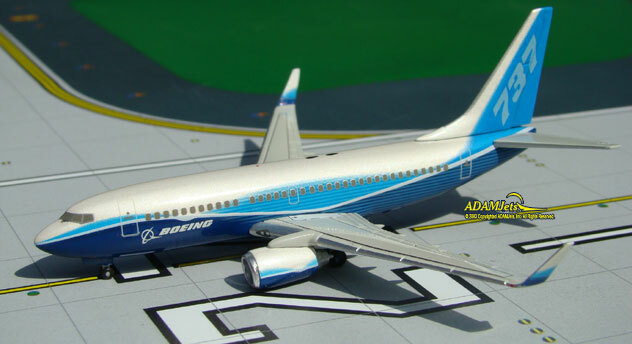 Hogan Models: one limited edition, collectible die cast airliner model in 1/400 scale of an Boeing B737-900(W) in the Boeing Corporation ?Dreamliner? Hogan Models: one limited edition, collectible airliner model in 1/200 scale. All construction is made of molded plastic with some assembly required, of an Boeing B747-400 in the Current Boeing Corporation Dreamliner House Colors. This model includes plastic black stand and all Gears. Airframe Registration N?????. This models is available as of May, 2007. This product available to ship as of Tuesday 22nd of May, 2007. Hogan Models: one limited edition, collectible die cast airliner model in 1/400 scale of an Boeing B747-400 in the Boeing Corporation ?Dreamliner? Colors. Includes a plastic model stand. Airframe Registration N/A. The model is constructed of die-cast metal with some plastic parts. This product was released in March, 2011. Hogan Models: one limited edition, collectible die cast airliner model in 1/400 scale of an Boeing B747-400 in the Boeing Corporation ?Dreamliner? Hogan Models: one limited edition, collectible airliner model in 1/200 scale. All construction is made of molded plastic with some assembly required, of an Boeing B747-800 Freighter in the Current Boeing Corporation Dreamliner House Colors. This model includes plastic black stand and all Gears. Airframe Registration N?????. This models is available as ofM ay, 2007. Hogan Models: one limited edition, collectible die cast airliner model in 1/400 scale. All construction is made of metal with some plastic parts, of an NEW Mold Boeing B747-800F (Freighter) in the Boeing Corporation Current Dreamliner Colors. Also includes a Plastic Model Stand. Airframe Registration N/A. This models is available as of January, 2010. 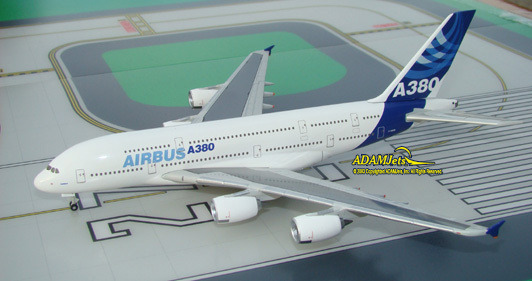 Hogan Models: one limited edition, collectible airliner model in 1/200 scale. All construction is made of molded plastic with some assembly required, of an Boeing B777-200 in the Current Boeing Corporation Dreamliner House Colors. This model includes plastic black stand and all Gears. Airframe Registration N?????. This models is available as of May, 2007. Hogan Models: one limited edition, collectible airliner model in 1/200 scale. All construction is made of molded plastic with some assembly required, of an Boeing B777-200/LR in the Current Boeing Corporation Dreamliner House Colors. This model includes plastic black stand and all Gears. Airframe Registration N?????. This models is available as of May, 2007. Hogan Models: one limited edition, collectible die cast airliner model in 1/400 scale of an Boeing B777-200/LR in the Boeing Corporation ?Dreamliner? Colors. Includes a plastic model stand. Airframe Registration N/A. The model is constructed of die-cast metal with some plastic parts. This product was released in March, 2011. Hogan Models: one limited edition, collectible die cast airliner model in 1/400 scale of an Boeing B777-200/LR in the Boeing Corporation ?Dreamliner? Hogan Models: one limited edition, collectible airliner model in 1/200 scale. All construction is made of molded plastic with some assembly required, of an Boeing B777-300 in the Current Boeing Corporation Dreamliner House Colors. This model includes plastic black stand and all Gears. Airframe Registration N?????. This models is available as of May, 2007. Hogan Models: one limited edition, collectible die cast airliner model in 1/400 scale of an Boeing B787-8 Dreamliner in the Boeing Corporation Dreamliner Colors. Airframe Registration N/A. The model is constructed of die-cast metal with some plastic parts. Includes a plastic stand. This product was released in February, 2011. Hogan Models: one limited edition, collectible die cast airliner model in 1/200 scale. All construction is made of metal with some plastic parts, of an Lockheed L-1049 Constellation in the China Airlines then Current Colors. Airframe Registration B-1809 This models is available as of May, 2010. Hogan Models: one limited edition, collectible die-cast metal airliner model in 1/200th scale of an Aerospatiale Sud- Caravelle III SE 210 in the China Airlines Old Colors Scheme. Airframe Registration B-1850. Includes a Clear Acrylic/Plastic Stand. This model is constructed of die-cast metal molded with some plastic parts. This product was released in November, 2010. 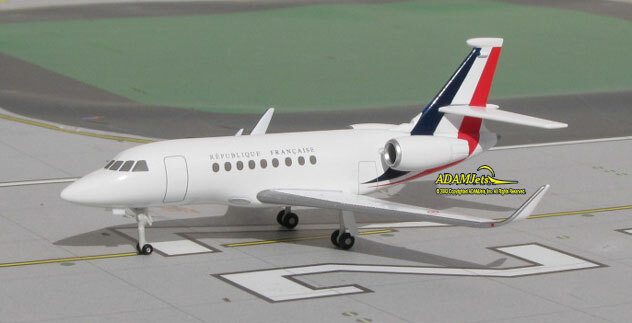 HOGAN Model: one limited edition, die-cast military model in a 1/200th scale of an Dassault Falcon 2000/LX in the French Air Force Current Colors. Airframe Registration N/A. This model is constructed of die-cast metal with some plastic parts. This product was released in Released in December, 2012. HOGAN Models: one limited edition collectable, die-cast airliner model in a 1/200th scale of a McDonnell Douglas MD-87 in the Iberia Airlines of Spain Last Colors. With titles �Ciudad de Segovia". Includes metal stand.�Airframe Registration EC-EZA.� This model is constructed of die-cast metal with some plastic parts. This product is available beginning in August, 2014. Hogan Models: one limited edition collectable, die-cast airliner model in a 1/200th scale of an Airbus A320-214 in the Iberia EXPRESS Airlines NEW Color Scheme. Airframe Registration EC-JSK. This model is constructed of die-cast metal with some plastic parts. Model Stand is included. The product was released in January, 2016. 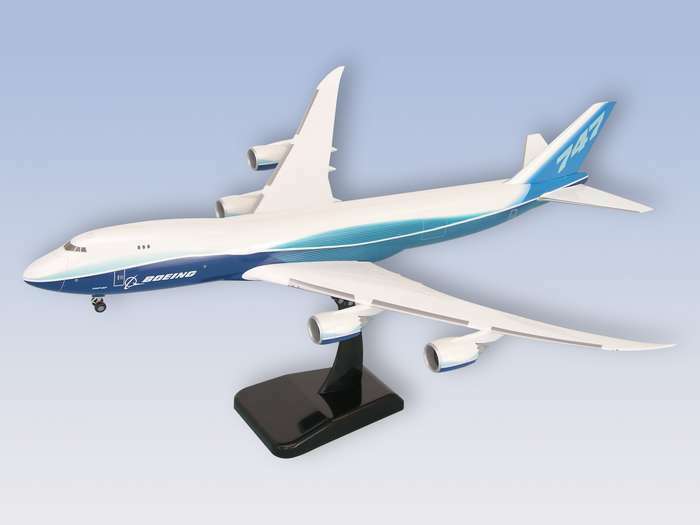 Hogan Models: one limited edition, collectible molded plastic airliner models in 1/200th scale of the Boeing B777-F6N in the LAN Cargo Airlines Current Colors. Airframe Registrations N/A. This model is constructed of molded plastic parts, some assembly is required. This product was released in Released September, 2012. Hogan Models: one limited edition, collectible die cast airliner model in 1/500 scale of an Boeing B777-3D7/ER in the Thai Intl Airways Current Colors. Airframe Registration HS-TKJ. The model is constructed of die-cast metal with some plastic parts. This product was released in April, 2011.